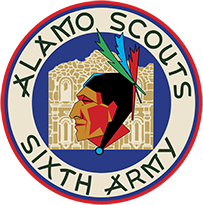 Friend of the Alamo Scouts Passes Away… | Alamo Scouts Historical Foundation, Inc. The ASHF family is saddened by the loss of Ray Wilbur, Sr., on Friday, January 6, 2016. Ray served in the Pacific aboard PT-495, and was wounded in action on November 19, 1944 while delivering Alamo Scouts on a resupply mission in the Camotes Islands. 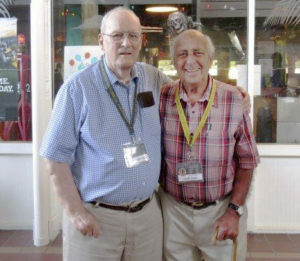 Ray attended the 2013 ASHF Reunion in Florida, where he reunited with Alamo Scout John Geiger, who was aboard the boat and helped tend to Wilbur’s wounds. Ray was a gentleman of the highest order, and he will be missed. Condolences to his son, Ray, daughter Dawn Vessels, and to the entire family for their loss. at the 2013 Alamo Scouts reunion.